Delivering on-time bids that are more precise and increasing your win ratio is the goal, but there are many challenges that can lead to bid losses and leaking profits. Barriers to success include inaccurate quoting, pressure from competitors, and changing customer demands. The good news is there are some key initiatives to address and negate these issues. However, Winning Bids Requires more than Technical Expertise. 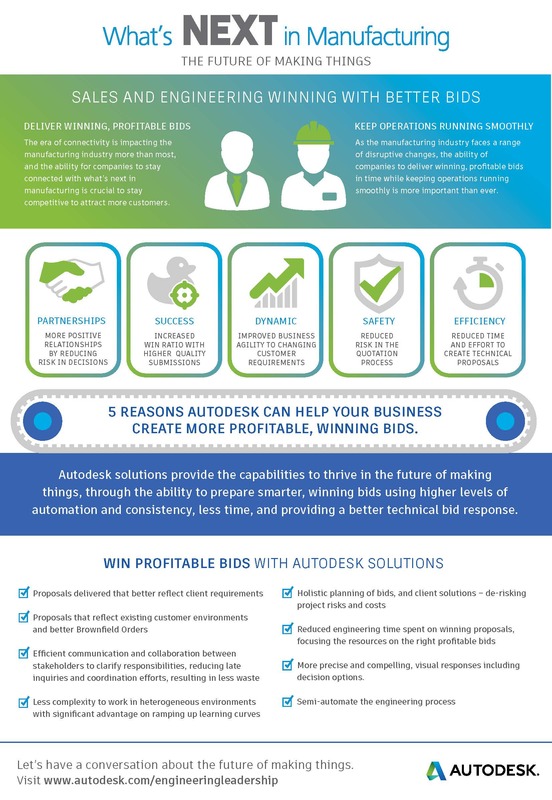 By utilizing Autodesk solutions, we can help you thrive in the future of making things through the ability to prepare smarter, winning bids using more automation with increased consistency, in less time, and providing a better technical response.